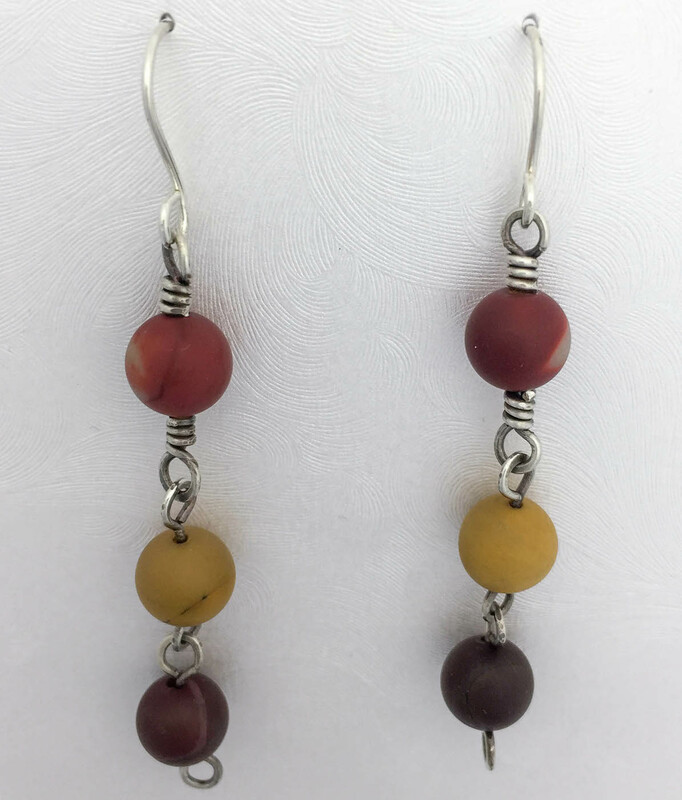 Triple – dangle earrings of multi colored Mookaite. I hand wrapped them with sterling silver and applied a light patina; this stone is only mined at Mookah Station, Australia. Hand forged sterling wires; 6mm beads drop a full 2” from ear wire.